Why Am I Sore after Kart Racing? Why? It’s the same reason why professional basketball, baseball, tennis, and soccer players experience soreness after competition or a grueling practice. In the quest to be the best, they (and you) are constantly raising the bar and trying to crush your personal best. This taxes the body. 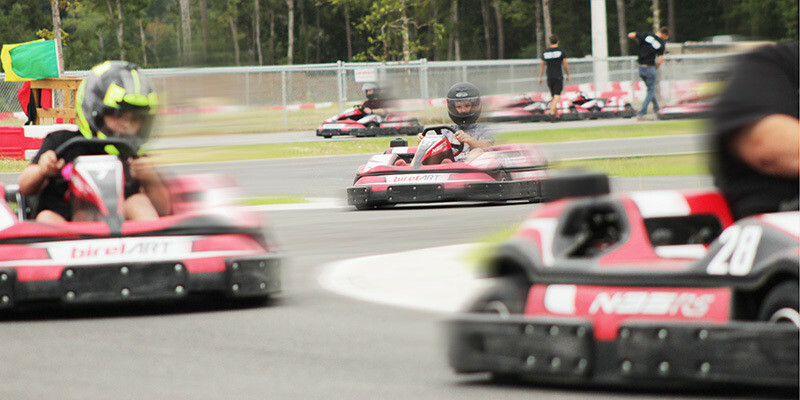 What Can You do to Minimize Soreness after Kart Racing? Alan Rudolph is a karting legend. Among many other accolades, Rudolph is a five-time SKUSA King of the Streets winner, inductee into the SKUSA inaugural Hall of Fame, and winner of the Dan Wheldon Ambassador to Karting Award. In other words, he is well-qualified to offer advice to those working to follow in his footsteps. Not surprisingly, he confirms that there is no quick fix or magic bullet to avoid discomfort in the pursuit of greatness. Lesson learned? There are no shortcuts! But for those who are passionate, committed, and willing to power through the kart-racing pain, the taste of victory makes the journey worthwhile! To read more pro-karting tips, click here. And, if you in the Houston-Area, come out and race on Alan's karting track at Speedsportz Racing Park. You can even take classes at his Alan Rudolph Racing Academy for one-on-one racing advice from karting pros.